The sign on the hillside says it all! Manx Electric Railway car 21 and trailer 47 stand at Douglas Derby Castle station on 10 May 2017, having just arrived with the 13:40 service from Ramsey. 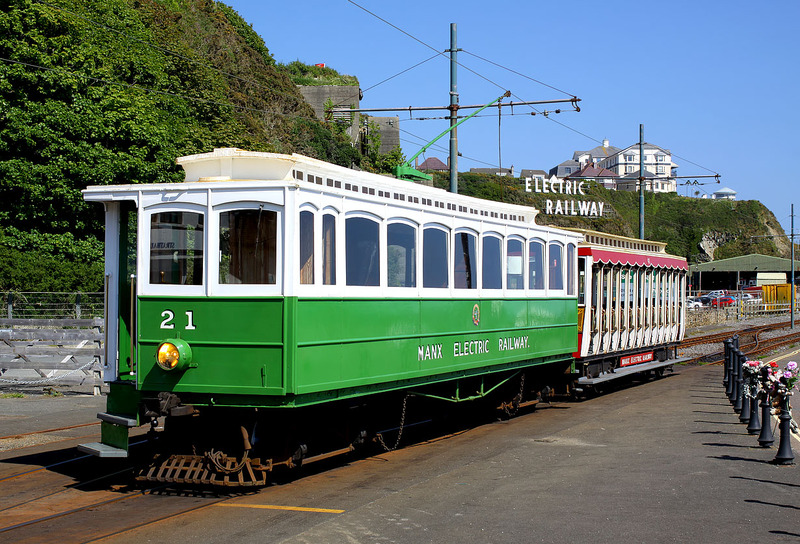 The line is energised at 550v DC, and each tramcar has four traction motors, each rated at 25hp.